The finishing details are what set your ride apart from the pack. Bully chrome license plate frames definitely can add that last remaining detail. Bully makes all kinds of custom license plate frames for you to find the one that speaks to you. 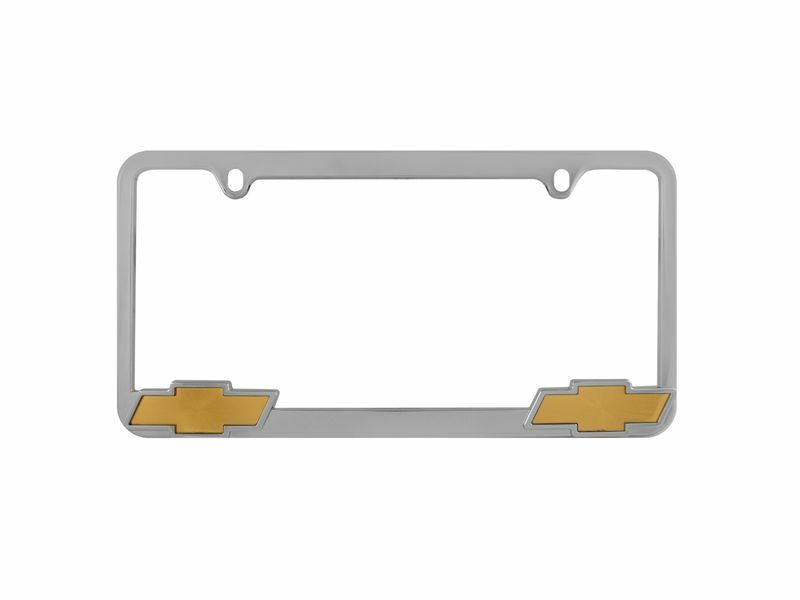 Each chrome license plate frame is made from die zinc and triple plated to ensure a durable, long-lasting shine. Since Bully has designed these frames to use the factory mounting holes, you will be able to get your new plate installed in no time. You can add a Bully chrome license plate to the front, rear, or both if you want. Order yours now to complete your custom look! All Bully truck accessories come backed by a limited lifetime warranty against defects in either materials or workmanship. These license plate frames fit all factory mounting locations, making installing your new frames simple and easy. No special tools are required but you will need to provide your own screws or bolts. If you have any questions or if you would like additional information on this or any other Bully product, please give one of our customer service representatives a call at 877-216-5446.